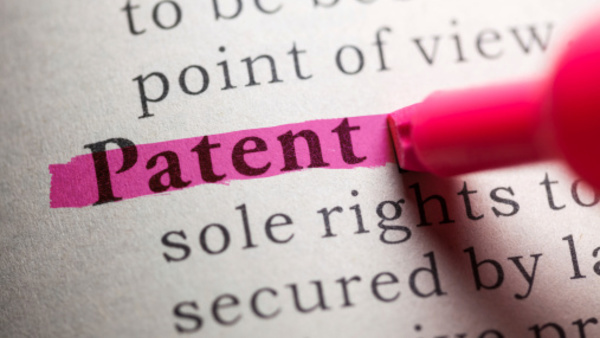 Just over a year ago, on April 29, 2014, the U.S. Supreme Court issued two landmark patent opinions—Octane Fitness, LLC v. Icon Health & Fitness, Inc.1 and Highmark Inc. v. Allcare Health Mgmt. System, Inc.2 Both cases dealt with the Federal Circuit’s application of 35 U.S.C. § 285, which permits courts to award attorney’s fees to the prevailing party in “exceptional” patent cases. Prior to these decisions, the Federal Circuit made “exceptional case” determinations under a fairly specific standard, finding an “exceptional case” only if it involved “material inappropriate conduct” or was both “objectively baseless” and “brought in subjective bad faith.” Further, to establish the “exceptional” nature of the case, the parties were required to produce clear and convincing evidence—and the Federal Circuit reviewed a lower court’s award of attorney’s fees de novo. In Octane Fitness and Highmark, however, the Supreme Court drastically changed these standards. As a result of these changes, many believed that a grant of attorneys’ fees under 35 U.S.C. § 285 would be much easier to attain. A little over one year after Octane Fitness and Highmark, it appears that the commentators were somewhat correct. First, patent litigation did decline by 13% in 2014 after an all-time high in 2013.4 Second, the Supreme Court undoubtedly created a less stringent framework under § 285, granting courts more discretion to determine the exceptionality of cases. Parties in patent litigation are now more willing to seek attorney’s fee awards, and threaten parties with the seeking of attorney’s fees if they continue with litigation that appears baseless. A recent study found that “[i]n the ten months following the Supreme Court’s holding in Octane, there was a significant increase in the number of motions made for attorneys’ fees under § 285, as well as the number of attorneys’ fees award to prevailing parties.”5 This study found that the grant of such fees, although still under 50%, was over double the grant of such fees in previous years.6 Further, a review of some of the awards of attorney’s fees from cases pulled from Docket Navigator revealed fee awards as high as $5 million. The 40% success rate on motions for attorney’s fees in ten months following the Octane and Highmark decisions7 appears to show that although courts remain cognizant of the American Rule, which generally requires litigants to bear their own costs, they are now more receptive to such motions, and if the facts appear to warrant the grant of attorney’s fees, the courts will allow such an award. It is likely that with patent reform legislation likely sometime this year, with three patent reform bills currently in committee, and with additional motions for fees likely to be filed, this issue will continue to be important for any patent litigator to take into account when preparing and litigating his or her case. 1 134 S. Ct. 1749 (2014). 2 134 S. Ct. 1744 (2014). 3 See, e.g., Daniel Fisher, Patent Trolls Face Higher Risks as Supreme Court Loosens Fee-Shifting Rule, FORBES (April 29, 2014); Adi Robertson, Supreme Court Decision Makes it Easier to Stick Patent Trolls with Court Costs, THE VERGE (April 29, 2014); see also Jeffri A. Kaminski et al., Octane and Highmark: Supreme Court Decisions Give District Courts Greater Discretion to Award Fees, VENABLE LLP (May 29, 2014). 4 2015 Patent Litigation Study, A Change in Patentee Fortunes, PwC(May 2015), available at http://www.pwc.com/en_US/us/forensic-services/publications/assets/2015-pwc-patent-litigation-study.pdf.